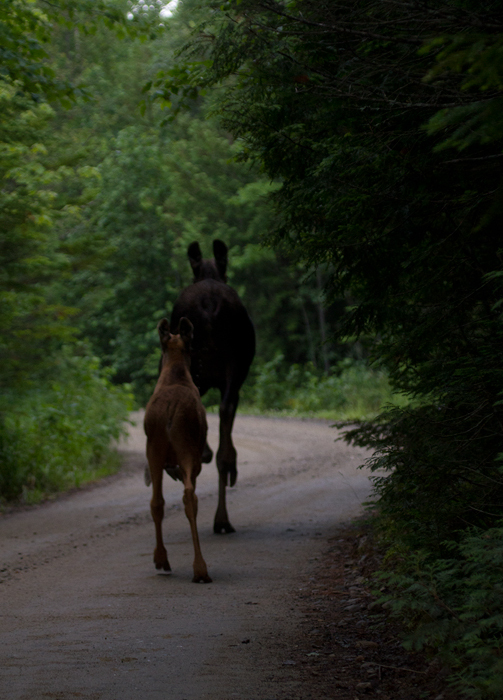 Maine in July. 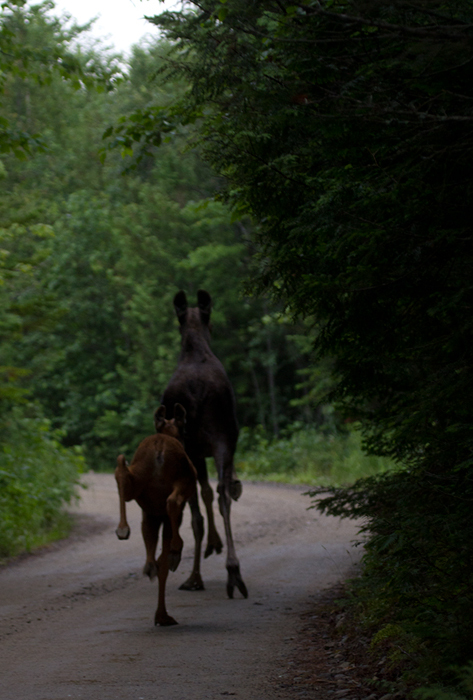 Last updated: 9/15/2013. 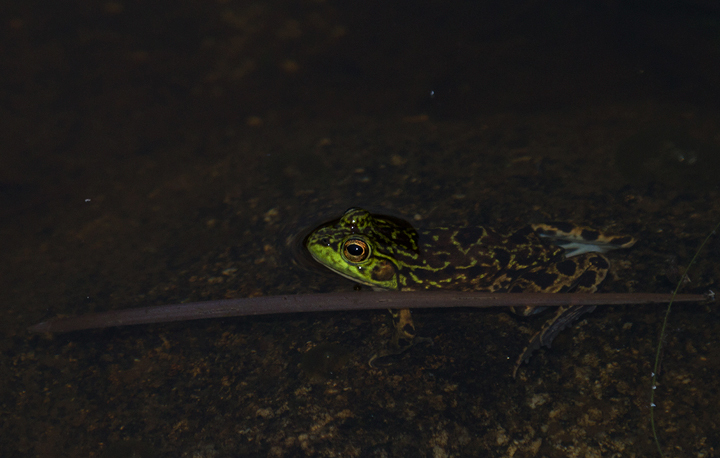 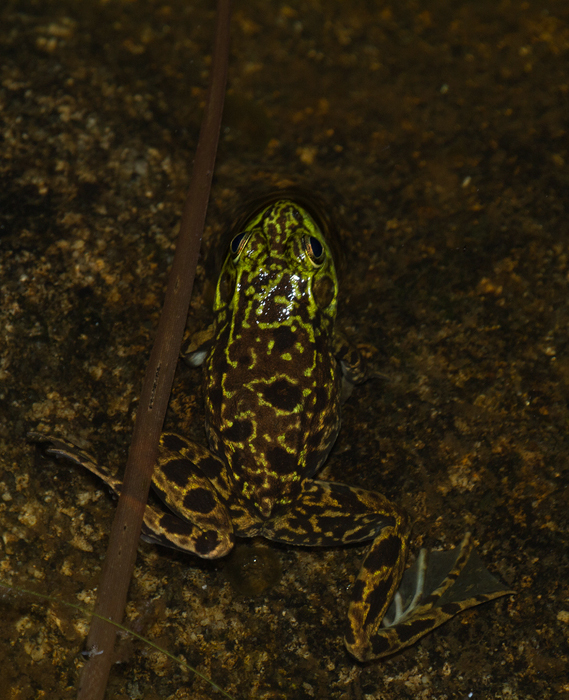 Above and below: A Mink Frog at Baxter SP, Maine (7/10/2013). 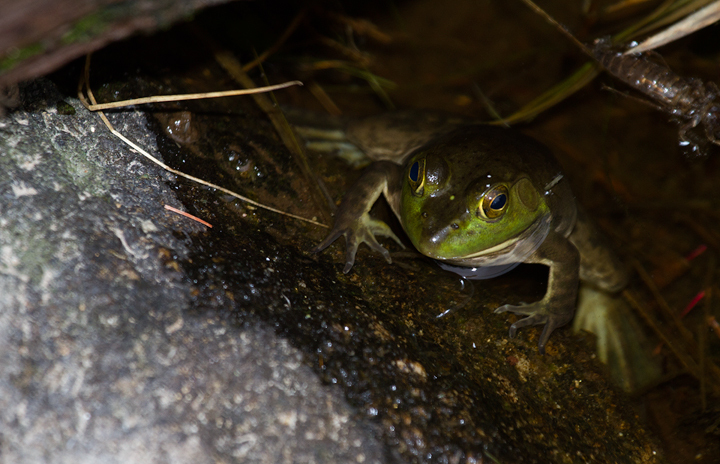 Below: An American Bullfrog at Baxter SP, Maine (7/10/2013). 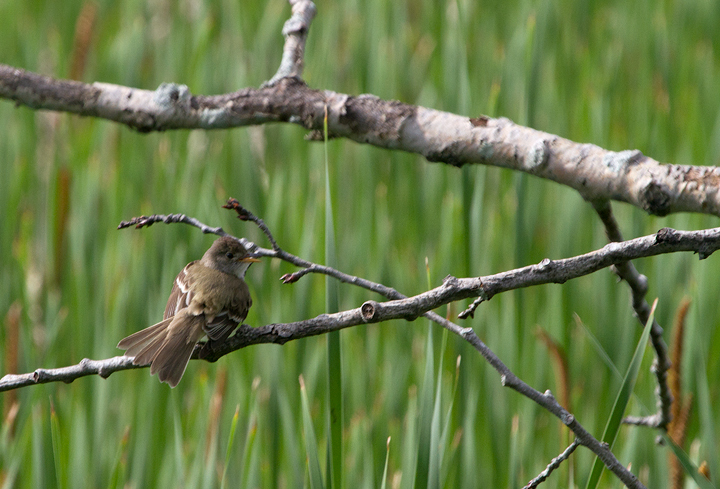 Below: A Willow Flycatcher at Scarborough Marsh, Maine (7/11/2013). 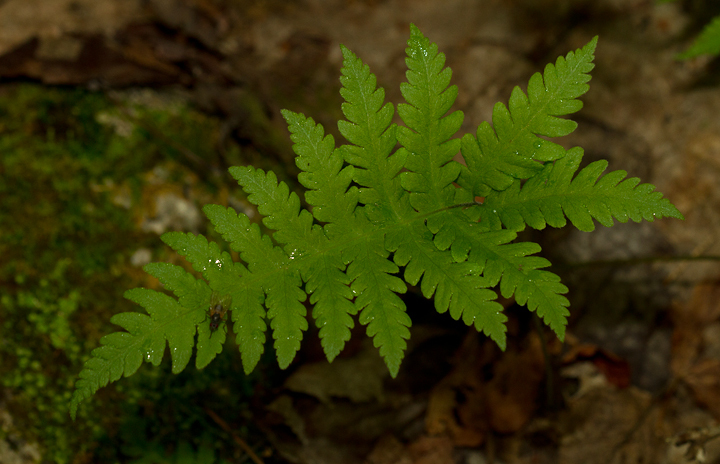 Below: Long Beechfern at Baxter SP, Maine (7/10/2013). 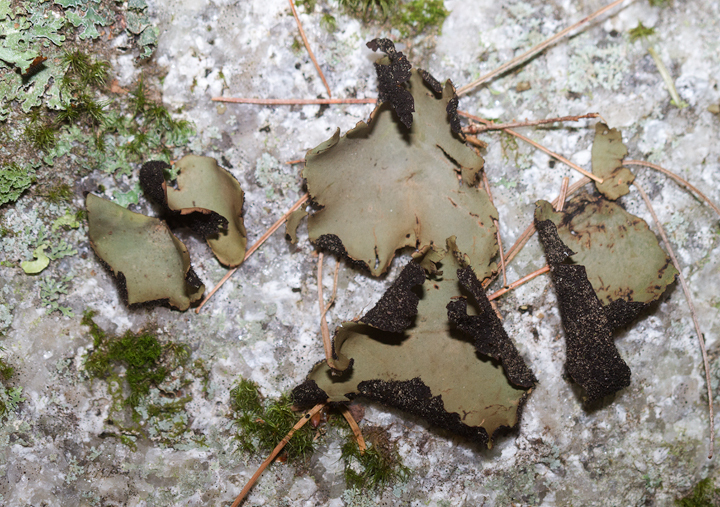 Below: A ring of Mountain Wood-sorrell at Baxter SP, Maine (7/10/2013). 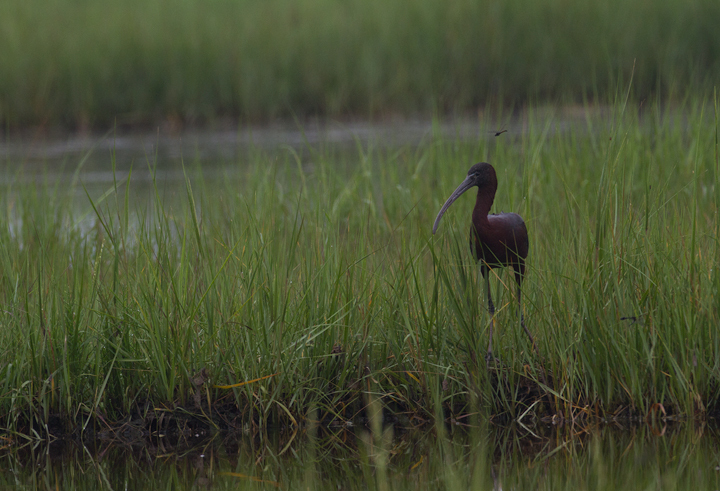 Below: A Glossy Ibis at Scarborough Marsh, Maine (7/11/2013). 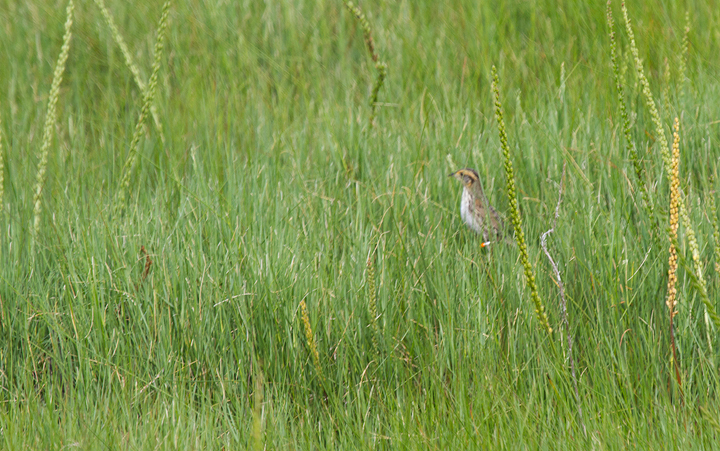 A White-faced Ibis had just flown out of frame! 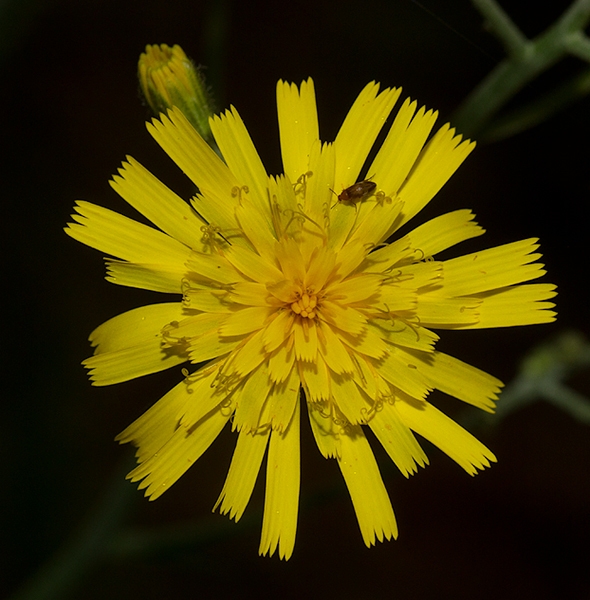 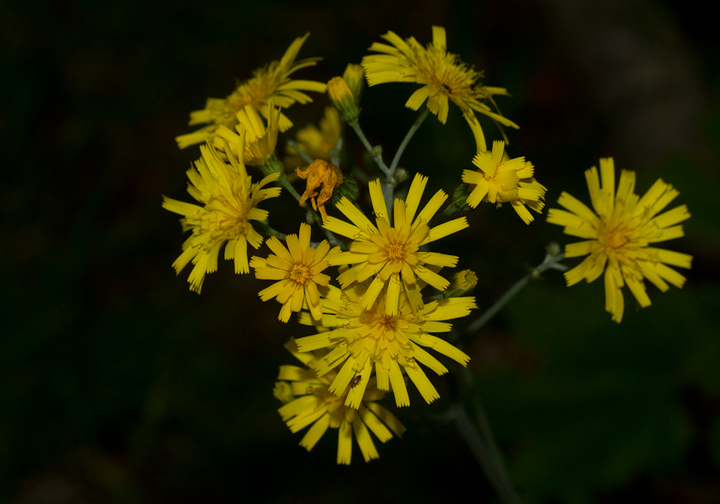 Below: Tall Hawkweed blooming at Baxter SP, Maine (7/10/2013). 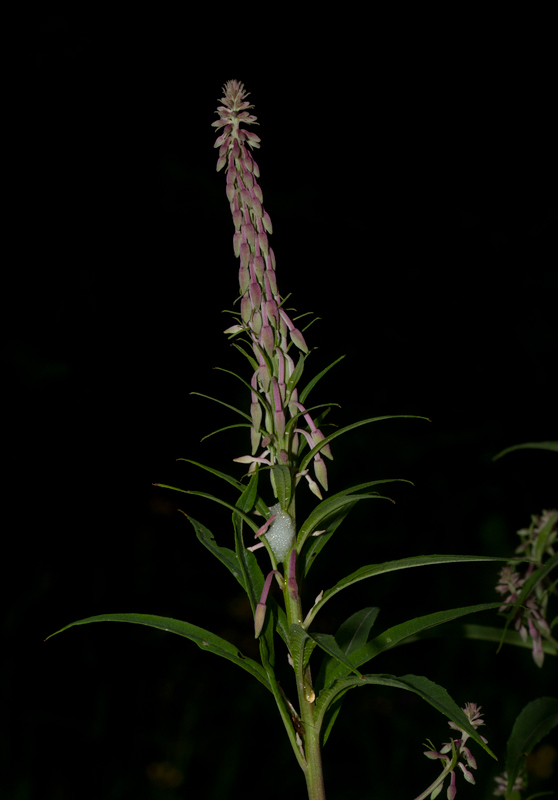 Below: Fireweed blooming at Baxter SP, Maine (7/10/2013). 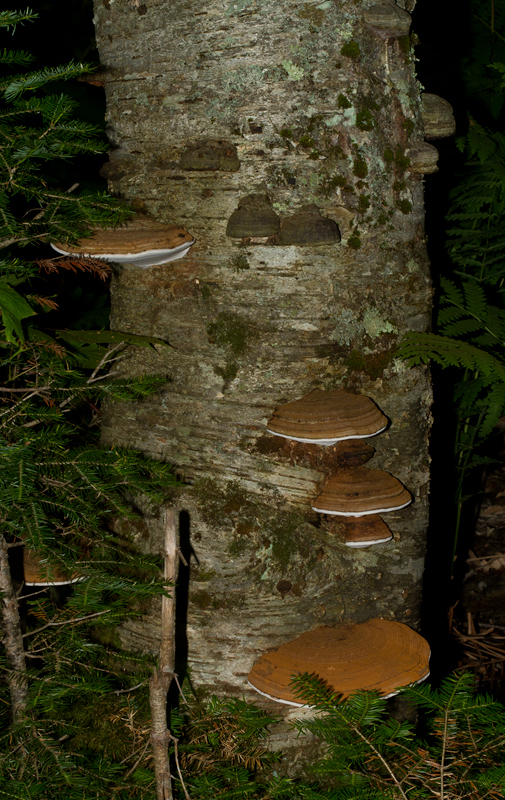 Below: Birch Polypores at Baxter SP, Maine (7/10/2013). 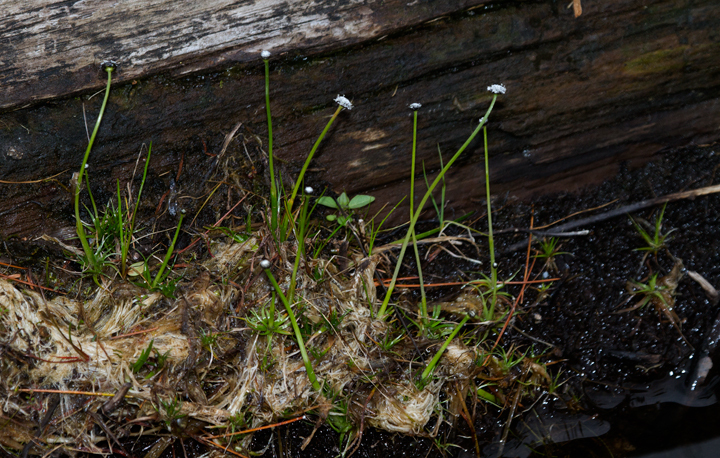 Below: Northern Ground Cedar at Baxter SP, Maine (7/10/2013). 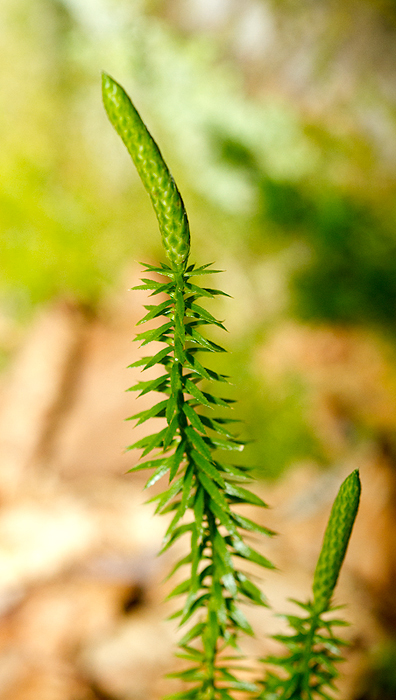 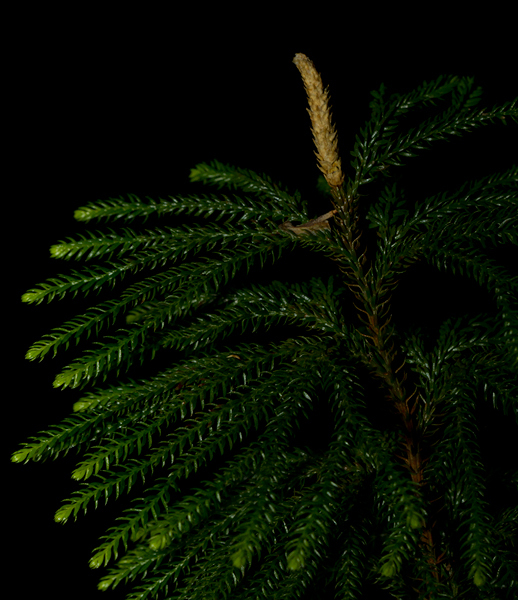 Below: Bristly Clubmoss at Baxter SP, Maine (7/10/2013). 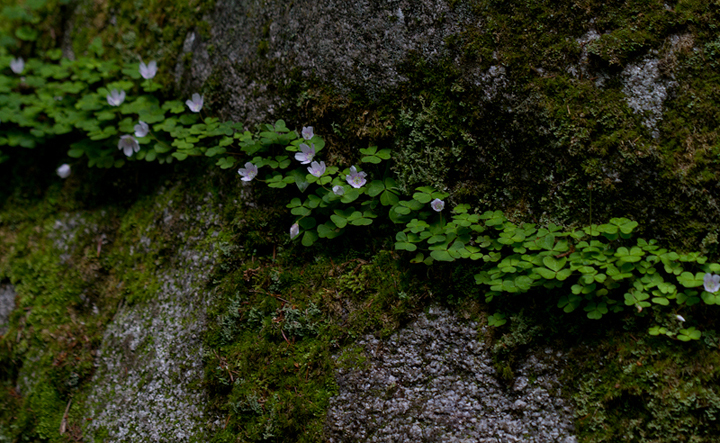 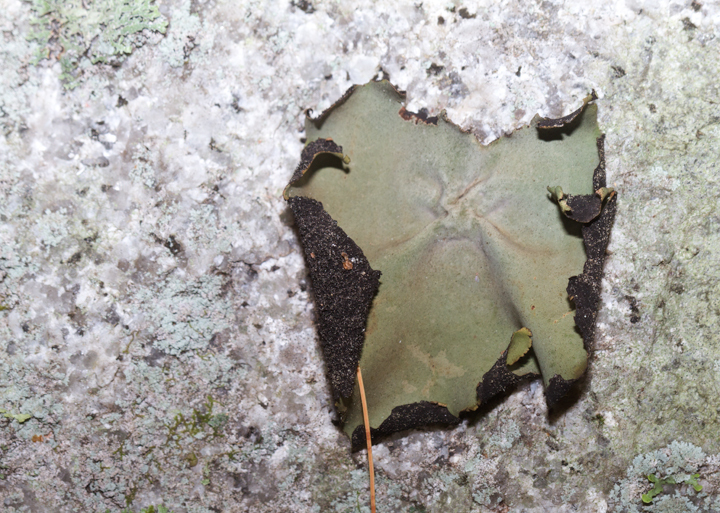 Below: A lichen at Baxter SP, Maine (7/10/2013). 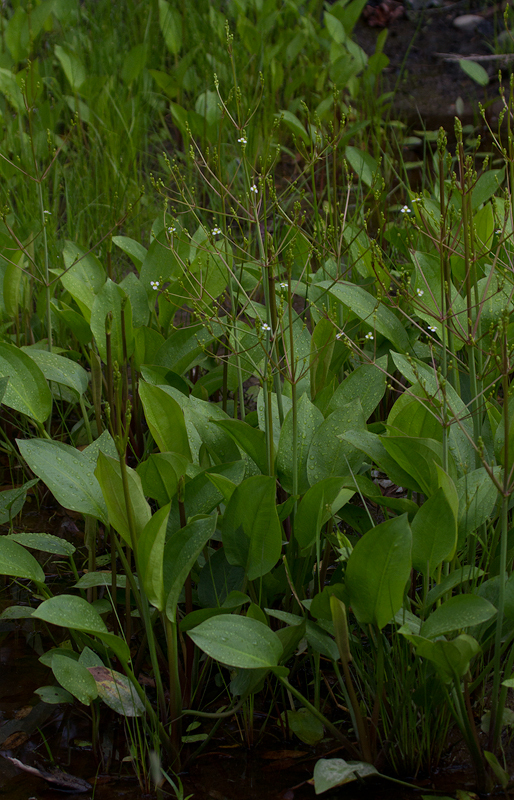 Below: Seven-angled Pipewort at Baxter SP, Maine (7/10/2013). 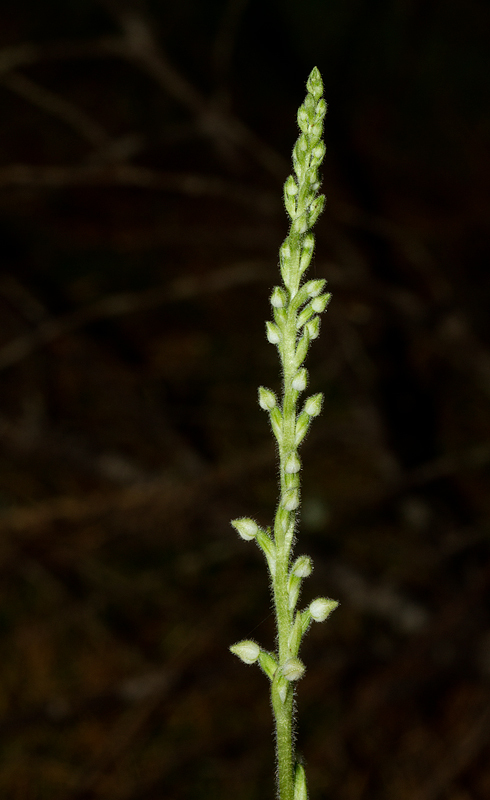 Below: Spatula-leaved Sundew at Baxter SP, Maine (7/10/2013). 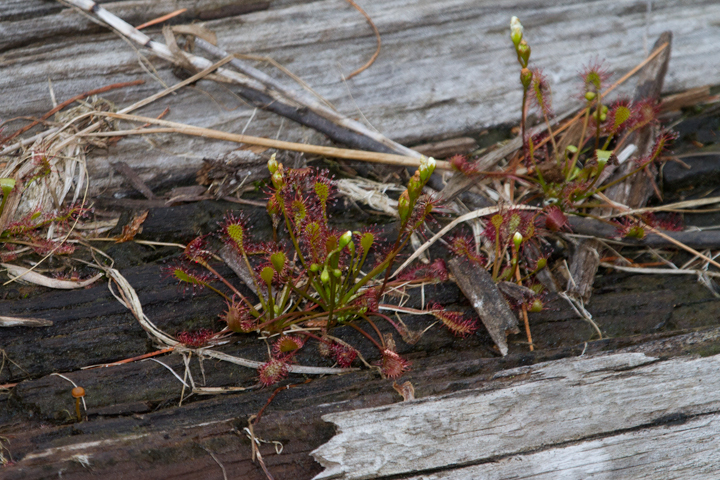 Amazing to see sundews growing directly out of a log beside a pond. 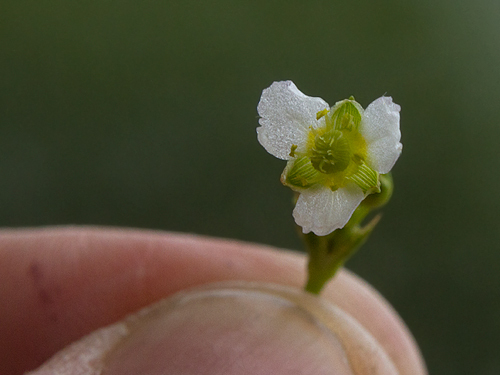 Below: A Northern Water Plantain blooming in southern Maine (7/10/2013). 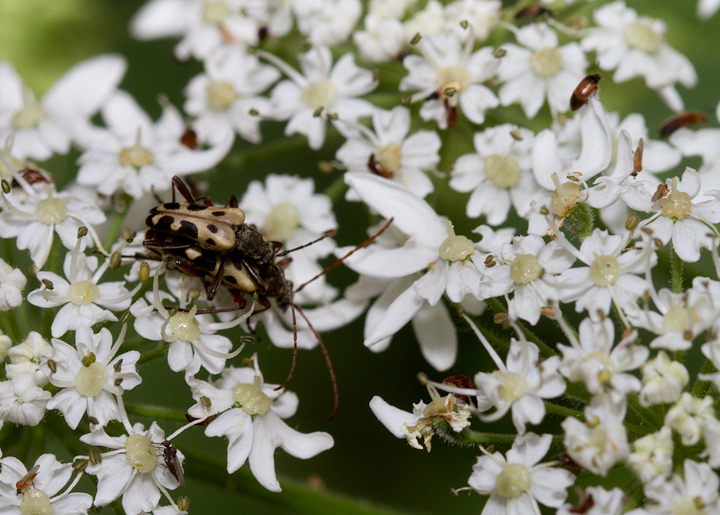 Below: Evodinus monticola mating at Baxter SP, Maine (7/10/2013). 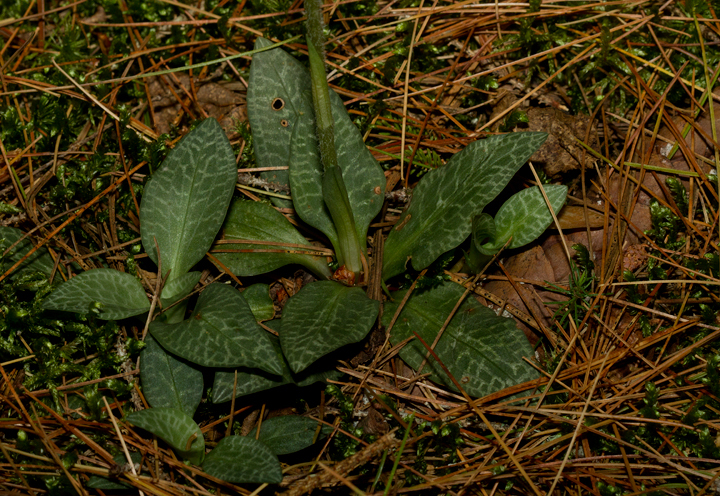 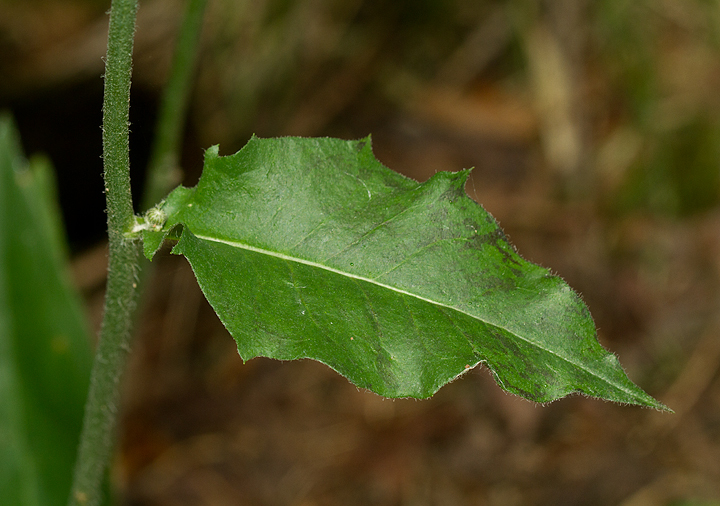 Below: A Checkered Rattlesnake-Plantain at Baxter SP, Maine (7/10/2013). 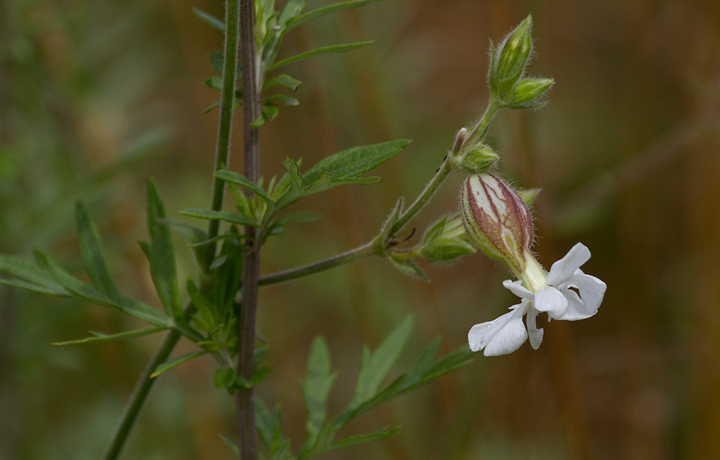 Below: Bladder Campion blooming at Scarborough Marsh, Maine (7/11/2013). 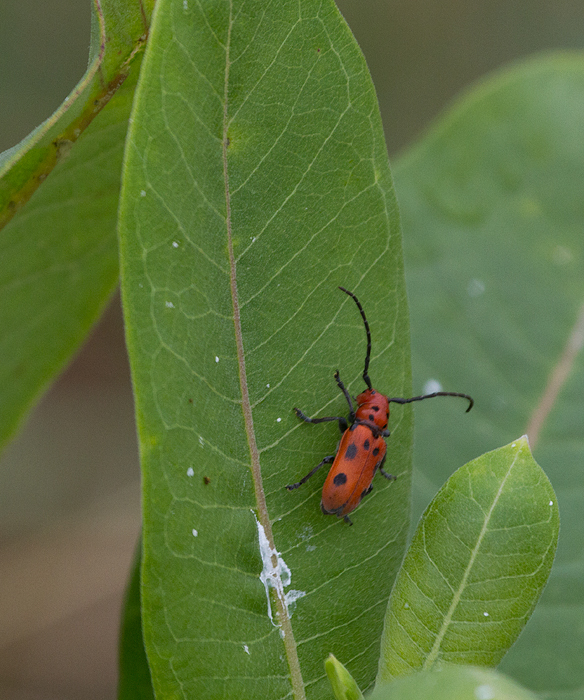 Below: A Red Milkweed Beetle at Scarborough Marsh, Maine (7/11/2013). 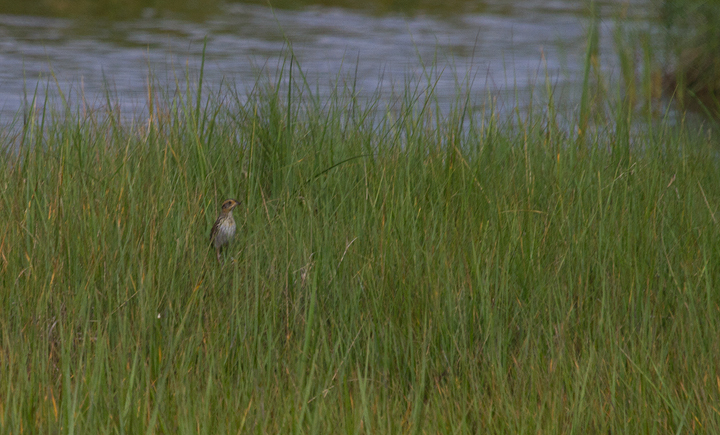 Below: Sharp-tailed Sparrows at Scarborough Marsh, Maine (7/11/2013). 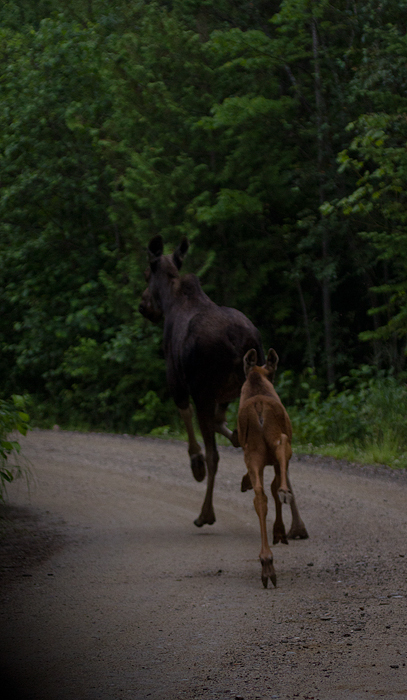 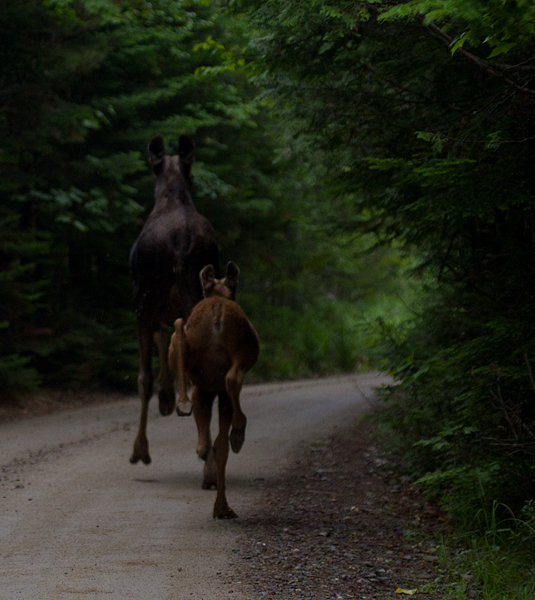 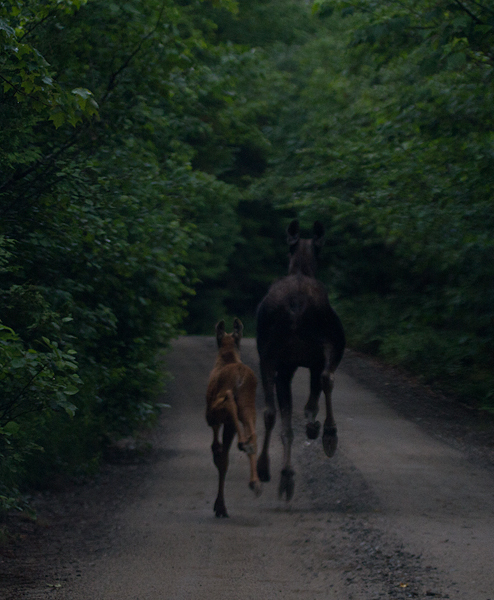 This area is known to be a hybridization zone between Saltmarsh and Nelson's Sparrows, and our observations were in line with fact. .
Below: A mother Moose and calf run up the road ahead of us at Baxter SP, Maine (7/10/2013).